Since the firm’s inception in 1957, hundreds of shipping companies, shipowners, charterers, suppliers and lenders have entrusted Poles Tublin to provide expert legal consultation, transaction and litigation support for their maritime needs. We have dealt with maritime matters on an international scale, working closely with firms in every corner of the globe. Our maritime attorneys are experts in the laws of the Republic of the Marshall Islands and Liberia, on matters of company, contract, corporate and maritime law, based on many years experience in international maritime transactions involving those jurisdictions and the incorporation of United States corporate and maritime laws in their statutes. Poles Tublin, has a large and dedicated clientele from around the globe who seek our advice with respect to direct investment in U.S. real estate. We represent lenders, buyers, and sellers of real estate property in transactions and litigation. We guide our clients through every phase of the purchase, sale, or lease of property, whether it is a large commercial complex or a private home. Our attorneys provide assistance from drafting contracts through the closing, as well as consultation on financing and brokerage agreements. Our firm has a special expertise in dealing with the unique issues faced by foreign investors in U.S. real estate and we maintain a network of professionals to assist in all aspects of real estate property transactions. 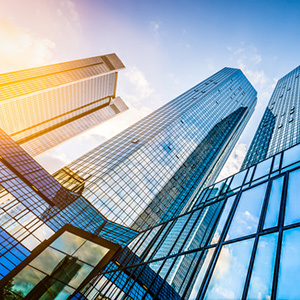 Our firm is known for assisting in the formation of hundreds of corporations in the U.S. and abroad, and advising closely held corporations on transactions. Our attorneys have a broad understanding of the corporate structure in both the shipping industry and New York corporate law. We have helped our clients form and structure corporations, draft and negotiate contracts, and create shareholder, management, agency and buy/sell agreements. We advise on all forms of corporate legal matters. Poles Tublin provides representation to protect our client’s interests vigorously, efficiently, and professionally. Our attorneys focus on providing the best resolution for our clients. Capable estate planning is necessary to ensure that assets are properly distributed. A carefully considered estate plan will help make sure your estate goes where you want it to go, and can minimize future costs and avoid complications. Website designed by Inkwell Solutions. The image on the homepage shows a visualization of the global cargo shipping routes, created by Kiln. To see a dynamic version visit ShipMap.org.